Gershom Scholem, the great humanist thinker and founder of modern Kabalah, is all but forgotten today. 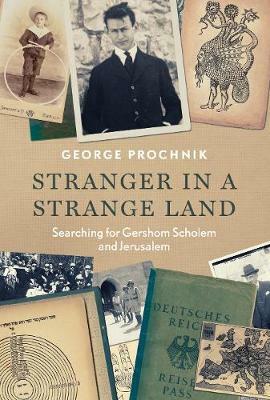 But here, in a biography as daring and inquisitive as its subject, George Prochnik goes in search of Scholem, restoring the reputation of a vital intellectual and finding in his work a vision with the power to reinvigorate contemporary religious and political thought. Tracing Scholem's life from his upbringing in Berlin, where he experienced a close and transformative friendship with Walter Benjamin, Prochnik reveals how Scholem's frustration with the bourgeois ideology of Germany during WWI led him to discover mystic Judaism, Kabbalah, and, finally, Zionism. But having emigrated to what was to become Israel, Scholem again found himself a 'stranger in a strange land', ill at ease with a prevailing conservative form of Zionism. Prochnik follows Scholem to the modern Holy Land - only to find that he too is disillusioned by the state politics he encounters. But through his profound study of Scholem and his own experience of Jerusalem, Prochnik not only questions the ideological and religious constructs of Jerusalem, but finds an ethical way forward, showing how a new form of pluralism might energize Jewish thought.